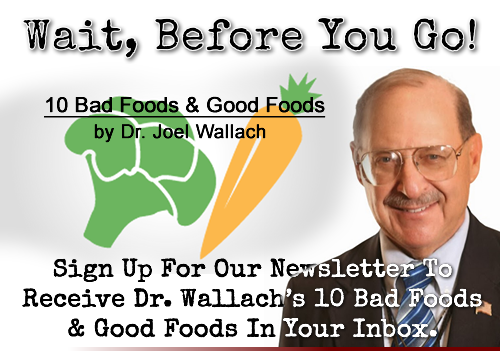 Doug Winfrey and Dr. Wallach discuss a news article about the evils of drinking sugary sodas. The story outlines the pysiological things that happen to the human body when a 20oz soda is consumed. Such as blood sugar spiking, fat stored in the liver and possible dehydration. Other studies have found that sodas can be addictive. Authors recommending water and Doc recommends Rebound FX. Nolen has been diagnosed with plaque in his heart arteries. Nick's girlfreind has chronic fatigue and possibly rheumatoid arthritis. Alex has questions about the onset of dementia. Robert has been diagnosed with rheumatoid arthritis. Art is a 59 year old runner having trouble lowering his blood pressure. Doug Winfrey and Dr. Wallach discuss a news article about a study from Denmark. Researchers found that women who supplement with fish oil during their third trimester had a reduced risk of having a child with asthma. It was a double blind study of over 700 pregnant women. One group got fish oil supplements and another group got a placebo of olive oil. Those getting the fish oil were 30% less likely to give birth to a child with asthma. Teresa has a friend with kidney disease. Patrick has friend with a bacterial infection in their liver. Amy's sons have been diagnosed with Stickler disease resulting in collagen deficiency. Dorothy has an optic nerve neuropathy, osteoporosis and arthritis.